I obtained the jpg format of this digraph by Maple software. 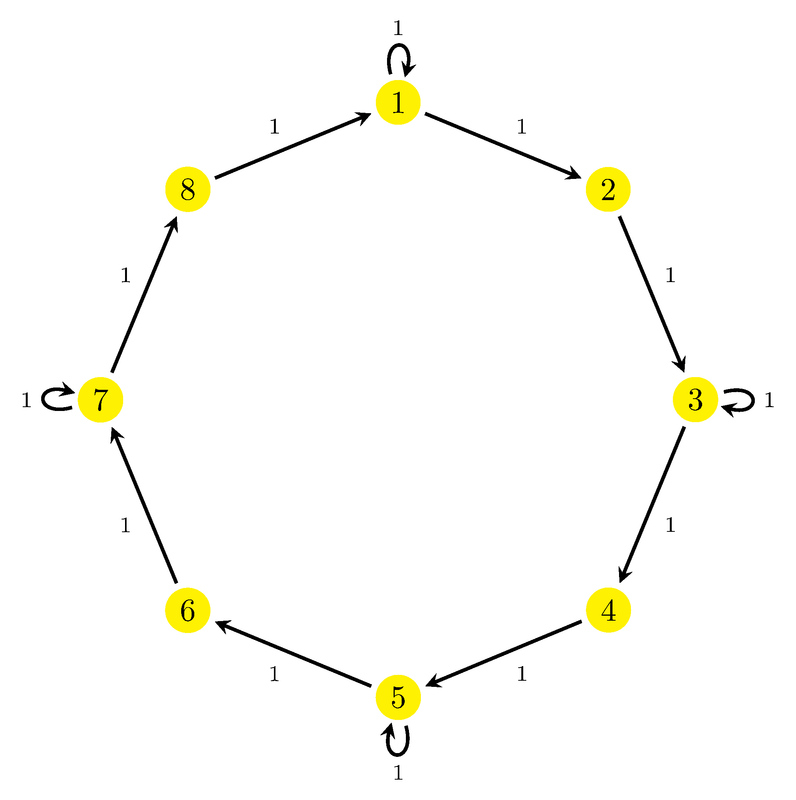 Is it possible to ask you to help me to write latex code of this digraph with tikz package. One of the my problems is that how to make a loop over vertexes 1, 3 ,5 and 7. I appreciate you taking the time to help me. 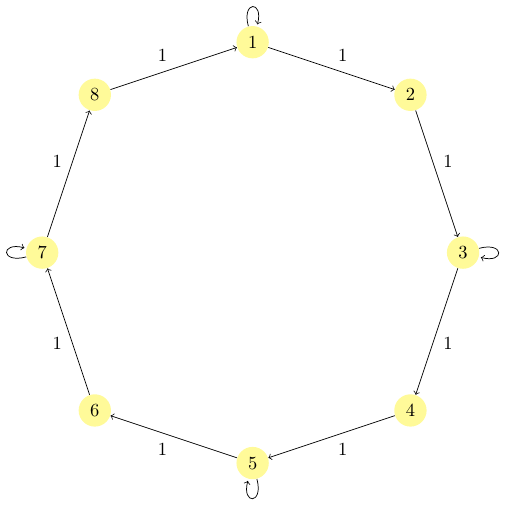 In this case, the octagon is based on a regular polygon node. This way, we obtain named anchors in each vertex which can be used to draw labels on them. As vertex numbers grow counter clockwise, xscale=-1 allows to flip them. Three foreach sentences draw labels, arrows and loops. 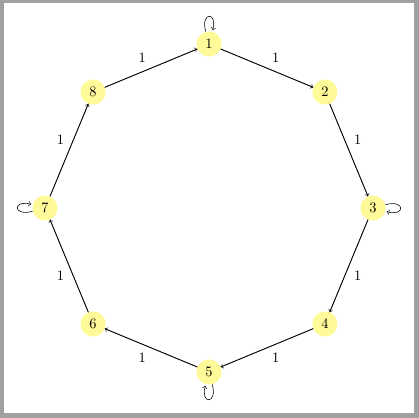 A solution using the TikZ circular graphdrawing library and its simple necklace graph drawing algorithm. Compilation of code using the graph drawing libraries requires lualatex. The graph is updated to also label the loops. Since all the edges are labeled with 1, the tikzset option includes edge label=1, avoiding the need to manually label every edge. Not the answer you're looking for? 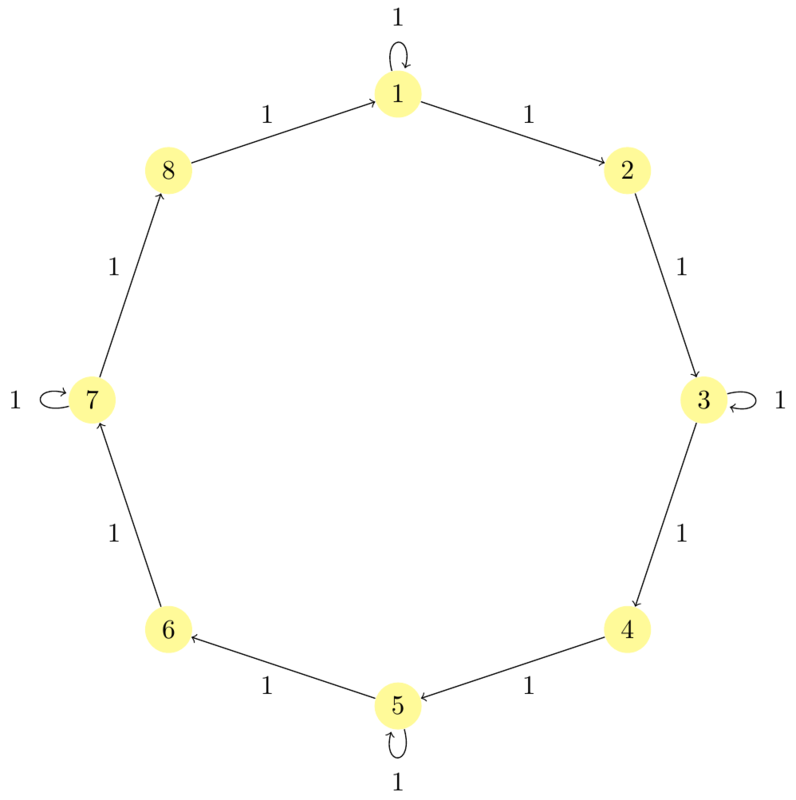 Browse other questions tagged tikz-pgf graphs tikz-graphdrawing or ask your own question. 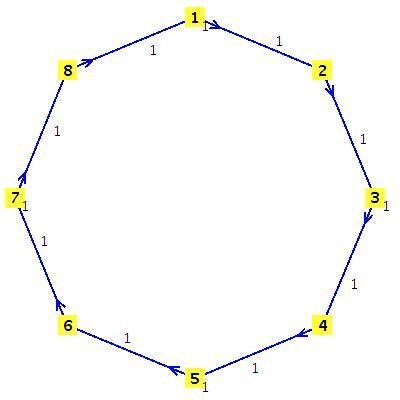 How to plot a graph from its adjacency matrix and coordinates of vertices? How can I avoid the “Dimension too large” error when plotting in newer PGF versions? having problems using arrayjobx with tikz - how can i use arrays in tikz?